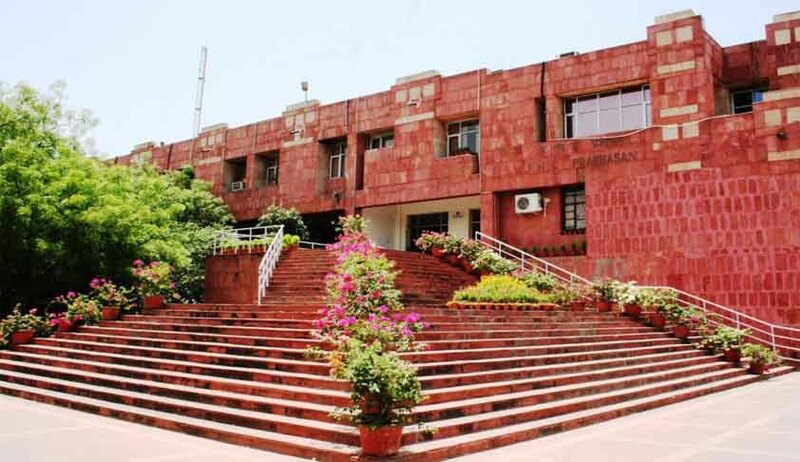 The Students Federation Of India has moved the Supreme Court against drastic seat cuts in certain schools and centres of Delhi’s prestigious Jawaharlal Nehru University including for MPhil and PhD. The plea has challenged the constitutional validity of the University Grants Commissions (Minimum Standards and Procedure for Award of M. Phil / Ph. D Degree)Regulations, 2016 published in Gazette notification with effect from 05.07.2016, being “irrational, unreasonable and arbitrary, violating Article 14, 15(4) & 15 (5) of the constitution, as well as the 93rd Constitutional Amendment Act, 2006 and Central Educational Institutions Act, 2006. “The UGC Regulations, 2016 also runs contrary to Article 38, 41 & 46 of the constitution, which are directive principles of State policy and the State is duty bound to justify its every policy on the touchstone of the directive principles as provided in the constitution. Thus, UGC Regulation, 2016 being violative of both the fundamental rights and the directive principles, are unconstitutional and liable to be struck down as null and void”, said the petition. The plea said the UGC Regulations, 2016 which ordered massive seat cut is unreasonable, arbitrary and unconstitutional at multiple levels. The implementation of the UGC Regulations 2016, causing sudden drastic reduction in seats in M. Phil / Ph. D courses in HEIs, has restricted “access” to higher education not only to the reserved category candidates but also to the General category candidates, it said. In the back drop of massive seat cuts, fixing a high eligibility criteria of 50% to the reserved categories with absolutely no relaxation in the qualifying marks to the reserved category candidates in the written exam, which has been further reduced to merely a “qualifying” exam, giving 100% weightage to viva-voce examination, has further amplified the glaring constitutional illegalities in the UGC Regulations, 2016, it said. SFI filed the petition on behalf of four students. Petitioner No. 2 & 4 are final year students pursuing their Masters’ Degree in their respective courses, in Delhi University, whereas Petitioner No. 3 is also a final year student pursuing his Masters’ Degree in Jawaharlal Nehru University, Delhi (“JNU”). Petitioner No. 2 to 4 aspires to join M Phil./PH.D. Programme in JNU, in the academic year 2017-18, however, due to the massive seat cut in JNU in view of Regulation 6.5 of the UGC Regulations 2016 there is no seat available to the petitioners in their chosen field of study, in the present academic year. That the JNU (Respondent No.3), in the light of uncertainties and vagueness in the Regulations, 2016 kept misleading the students about the admission procedure for the academic year 2017-18 and it is only on 20.03.2017, that an online admission prospectus was uploaded on the website of JNU, inter-alia disclosing a massive seat cut providing only 102 seats in the M. Phil / PH. D courses in the current academic year (2017-18) as compared to 970 seats in the last academic year (2016-17). SFI said the admission announcement was made in the most arbitrary and hasty manner and the petitioners were left with no other efficacious remedy but to approach the SC. to direct the JNU (Respondent No. 3) to immediately fill all the vacancies of Professors, Associate Professors and Assistant Professors to avoid any reduction of seats in the current academic year (2017-18).